Art&Soul: Celebrate African American Arts and Artists in Raleigh, N.C., and Beyond! In the 2016-2017 theater season, there is a significant number of performances that are by or about African Americans. Performing arts groups are producing 17 African American plays and musicals as well as an African American opera. And the list continues to grow. This rich and diverse season provides wonderful showcases for playwrights, directors and actors, and meaningful and enjoyable experiences for audiences. As founder of the Triangle Friends of African American Arts (Triangle FAAA), I felt that it was important that people knew about these upcoming performances, so I decided to host an African American Theater Preview Event to increase awareness and foster excitement about this amazing theater season. Generating community interest in the preview event led to the development of a new initiative aptly named Art&Soul, a partnership between Triangle FAAA, regional arts organizations and Triangle-area convention and visitors bureaus on a year-long celebration of African American arts, which includes special promotions, panel discussions and community programming. 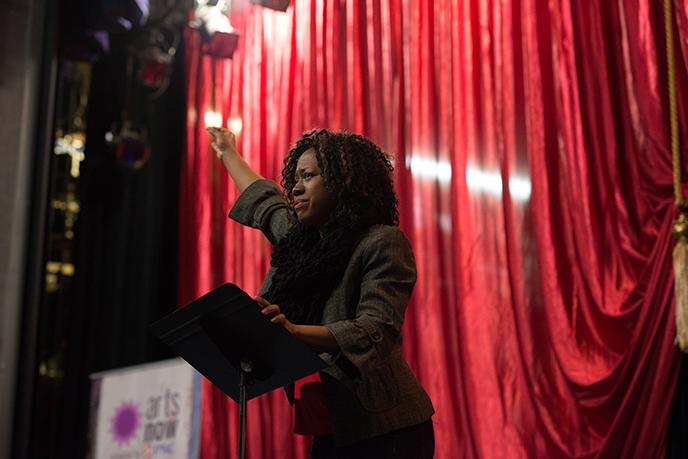 Launched in 2014, Triangle FAAA is an organization that engages the community with African American arts, cultivates audiences and supports African American artists. Its scope encompasses all forms of art—music, dance, theater, literature and visual arts. In addition to promoting African American arts, Triangle FAAA hosts educational and social events, including art exhibition tours, group attendance at performances and workshops on art-related subjects. The African American Theater Preview Event hosted by Triangle FAAA in Jan. 2017 was the first featured Art&Soul program. The preview event was held at Raleigh Little Theatre and included a reception sponsored by ArtsNow. More than 350 people attended, and the standing-room-only crowd experienced songs, scenes from plays and commentaries from playwrights. It was a special evening that left the audience inspired, uplifted and excited about African American theater in the Triangle. To learn more about opportunities to experience African American arts, go to the Triangle FAAA "Community Events" calendar. After all, 2017 is a great time to start celebrating African American arts in the Triangle!